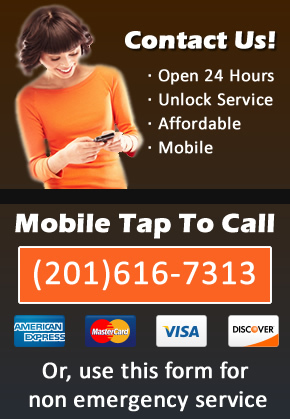 Locksmith JC is a mobile locksmith service in Jersey City, New Jersey. We no longer have a storefront per se. All of our equipment is kept in our industrial unit where we load up what we need before coming out to see you. Keeping a retail storefront became cost prohibitive to us and took away our competitive edge. To save costs we’ve moved into a strictly mobile locksmith business model. We have found that our customers understand this and 90% of the time want us coming to them anyways. By simply filling out the form on the right-hand side of this page. or in person if need be at the following address. Please call before coming by since we are not at this address all of the time. We can arrange to meet you at your location.